A boy sits in a remote cabin with the frozen body of his dead father, waiting for help to arrive. 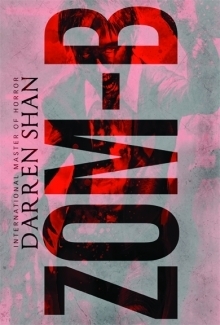 What arrives instead is his worst nightmare – a huge murderous man who steps out of his father’s past. Sig Andersson is stuck alone in a cabin north of the Arctic Circle. His only company? His father’s dead, frozen body slowly melting on the kitchen table. Sig waits, hoping his sister and step-mother will bring help from the nearby town. Instead, danger arrives in the form of a mountainous man who insists he is owed part of the bounty stolen by Sig’s father 10 years before in the goldfields of Nome, Alaska. Seeing as Sig’s father is unavailable, the man says, he figures now it is Sig who owes him. 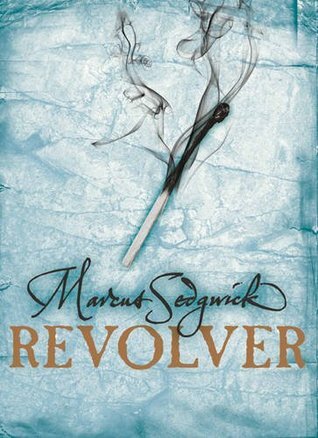 With no idea about stolen gold, but sure the man would not hesitate to use the gun on his hip, Sig is desperate to get his hands on the family treasure he does know about – a revolver hidden in the pantry. As a chosen Vessel, Liyana is supposed to give her body to her clan’s goddess and drift away into the Dreaming. 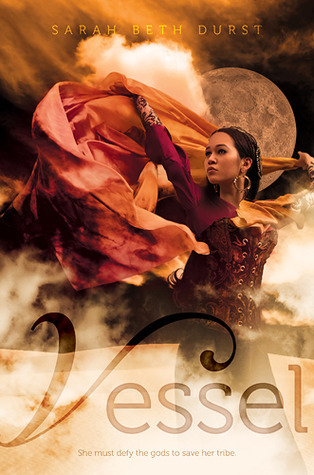 But when everything goes wrong and the goddess does not come, Liyana finds herself on a wild, desperate search for the magic needed to save her people. Unlike most people, Liyana knows how she will die. She is the chosen Vessel of the Goat Clan. On the ordained day, as part of a carefully choreographed ceremony, she allow her soul to leave her body so that it can be filled by the Bayla, goddess of her clan. Liyana’s soul will travel forward into the Dreaming and Bayla – using Liyana’s well-prepared and well-trained body – will work the magic needed to save Liyana’s desert clan. That’s how it was supposed to happen. Liyana did her part. She practiced. She dressed in a flowing robe. She marched to the oasis. She danced. But Bayla didn’t come. Liayana’s clan – believing she has been judged unworthy – leaves her to die. But strong, smart, resourceful Liyana is not inclined to die. Korbyn, the god of the Raven Clan, appears and offers her an alternate explanation. Perhaps she was not rejected. Perhaps her goddess, among others, has been kidnapped and is in need of rescue. Together, they go on an epic quest to discover the secrets of the desert and what lies beyond. 1) I love an good opening line. This book starts, “On the day she was to die, Liyana walked out of her family’s tent to see the dawn.” And just like that, I was all in. 2) I’m a sucker for great characters and Liyana and Korbyn are fantastic. I was crushed when our time together had to end. 3) Is that not a gorgeous cover? Alice misses her mom – who died of cancer a few years ago – and resents the heck out of her new stepmother, the father who has re-focused on his new wife, and now the baby they’ve decided to add to the family. All her emotional turmoil comes to a head when she gets trapped in a snowstorm with her stepmother and half-sister. Suddenly, survival is more important than anything. Lisa Schroeder tells a riveting, emotion-packed story in simple, pared down concrete poetry. She explores the experience of Alice, who is feeling badly out of sorts. Despite having a new boyfriend, a best friend, and a loving (if distracted) father, she is almost completely overwhelmed by the loss of her mother. Then, things start to go really wrong. Her friend gets tired of her maudlin obsession. Her father and stepmother have a new baby, leaving her feeling like she doesn’t have a place in her own home. And then, on a road trip from California to Seattle, the unthinkable happens. She, her half-sister, and her step mother get stranded in a snow storm. Faced with a true life-or-death situation, Alice finds herself able to see her loved ones – living and dead – in a new way. I’m not a poetry fan and tend to be leery of stories told in poetic form, but I found this concrete poetic narrative both engaging and memorable. B is a street-wise bully being raised by a violent, white supremacist father in London. Amid growing reports of zombie attacks in a small Irish village, B is backed into several situations where it is called into question of how deep B’s personal racist sensibilities run. And then, the zombies attack. This book was quite a surprise. Written by a master of young adult horror, it’s remarkably light on the spurting blood and the brain eating … until it’s not. Although the zombies are milling around the edges from the beginning, but meat of the book is spent on B and B’s response (or lack thereof) to a father who spews disgusting racial hatred at every turn and beats on B and B’s mother if they mount the slightest challenge. B wanders between mirroring the father’s nastiness and being sheepish about it and wondering if – perhaps – dear old Dad isn’t pretty reprehensible. B’s thoughts get really stirred up after visiting a Holocaust exhibit and getting a talking-to from a respected teacher. And speaking of monsters, the zombies continue to close in as Dad pooh-poohs the gruesome footage of an attack in Pallaskenry, Ireland until the zombies – as the reader knows they will – finally descend on B’s school and the nightmare-inducing grossology lesson begins. While not at all likeable, B is an compelling character and “Zom-B” is an exciting set-up for a new series. 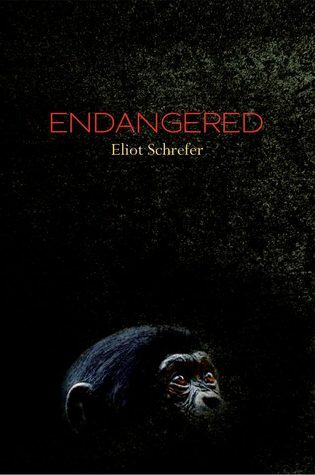 When civil war breaks out in the Congo, 14-year-old Sophie is forced to go on the run and survive solo in the jungle in order to save herself and Otto – a young ape living in her mother’s bonobo sanctuary. A survival story. A wild adventure. A brutal civil war. And an adorable bonobo (a lesser-known primate like a chimpanzee, only nicer). It’s all here. Sophie begins the story in a bit of a funk, leaving her home in Florida to spend another summer with at her mother’s bonobo sanctuary in the Congo. She finds her purpose in adopting Otto, an abused baby bonobo that she unwisely rescues from a man on the side of the road. After a summer literally attached to Otto, things fall apart in the Congo. The president is killed. The country – and the bonobo sanctuary – are taken over by unruly bands of vicious soldiers. Sophie flees into the jungle with Otto, using all his animal instincts and her ingenuity to try to survive and save them all. In addition to the heart-pounding adventure, this book offers a rich perspective on political instability, child soldiers, animal trafficking, and the will to survive. 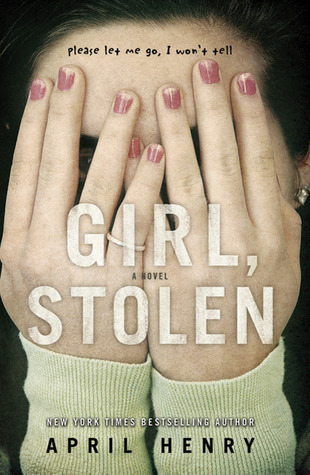 It’s a fast-paced thriller about a blind girl accidentally kidnapped when her step-mother’s car is stolen. As if that wasn’t bad enough, she’s just been diagnosed with pneumonia. There is a lot going on in this short, exciting tale as Cheyenne develops an interesting relationship with the trying-to-be-a-tough-guy boy who stole her away. It’s a cold night. Cheyenne – sick and feverish from pneumonia – begs her step-mother to leave the car on with the heat running. Her step-mother will only be away for a minute to get medicine inside the pharmacy. But it’s a terrible minute for Cheyenne when a man steals and drives away with her inside. He doesn’t even see her there until Cheyenne starts screaming. And she can’t see him because Cheyenne is blind. As both become panicked and confused, the thief, Griffin, – a teen little older than Cheyenne – drives her to his remote home. When Griffin’s brutal father and his henchmen make a key discovery about Cheyenne, the situation goes from bad to worse forcing Griffin the kidnapper into the role of Cheyenne’s only hope for survival. Fan Trailer – the end is awesome – wait for it!